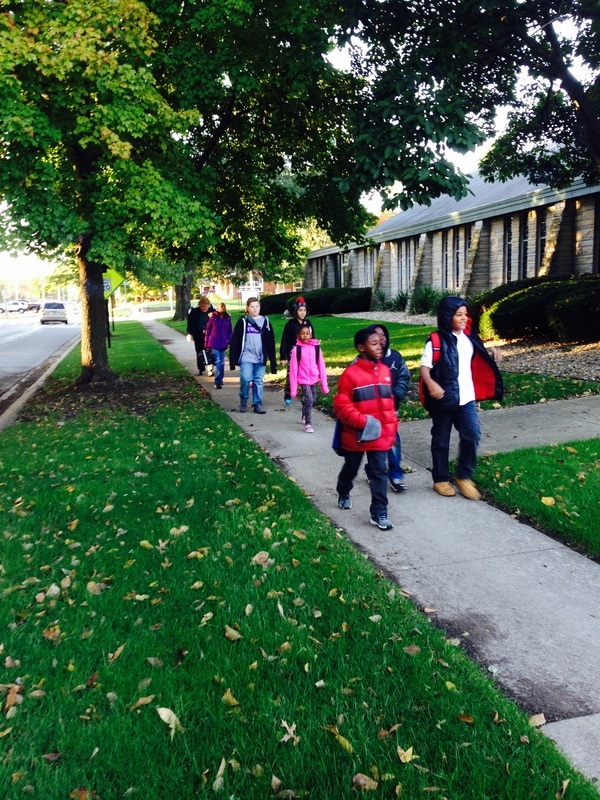 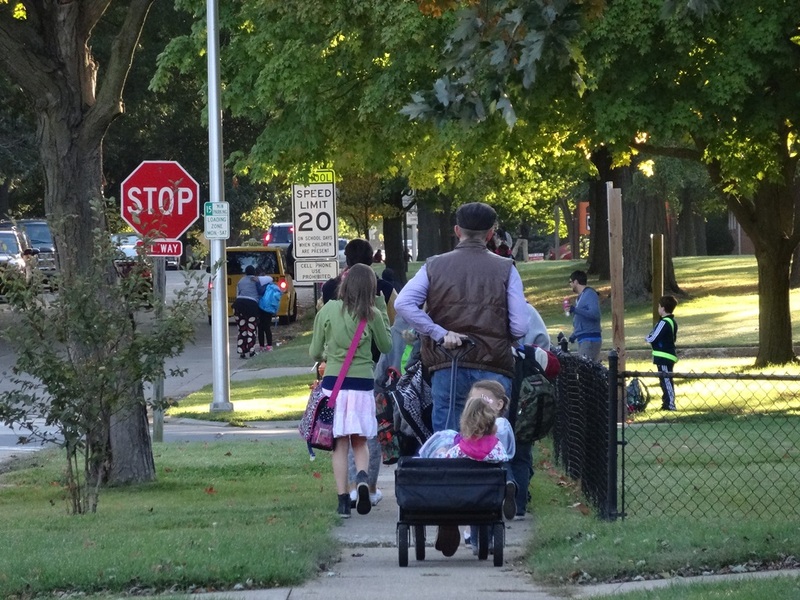 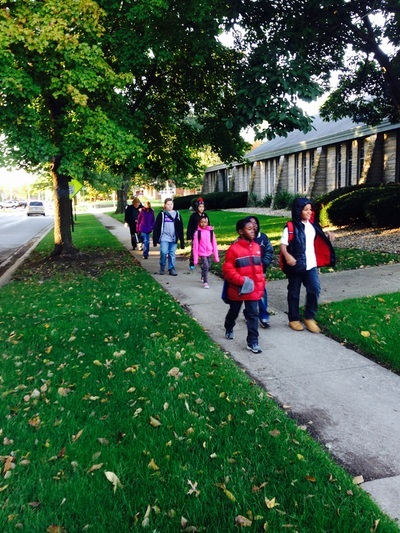 On October﻿ 8th﻿, 20﻿14﻿, 8 elementary schools in Champaign-Urbana participated in the Walk n' Roll to School Day (WRTSD). 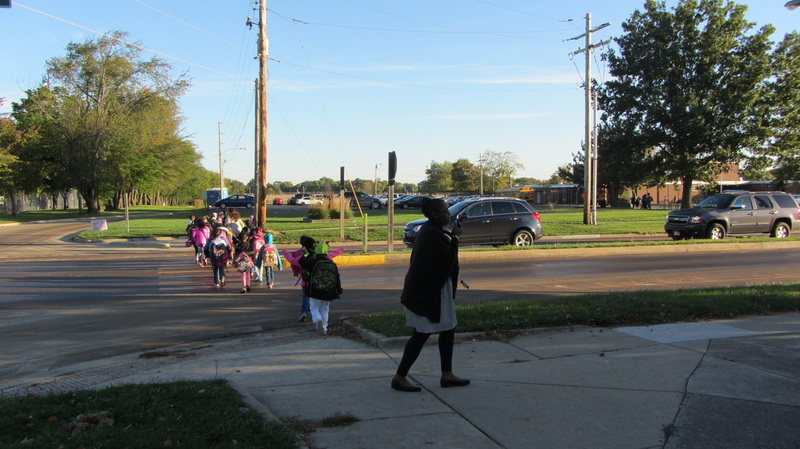 Students walked and biked to school, where they were greeted and encouraged by friends, parents, teachers, and community members. 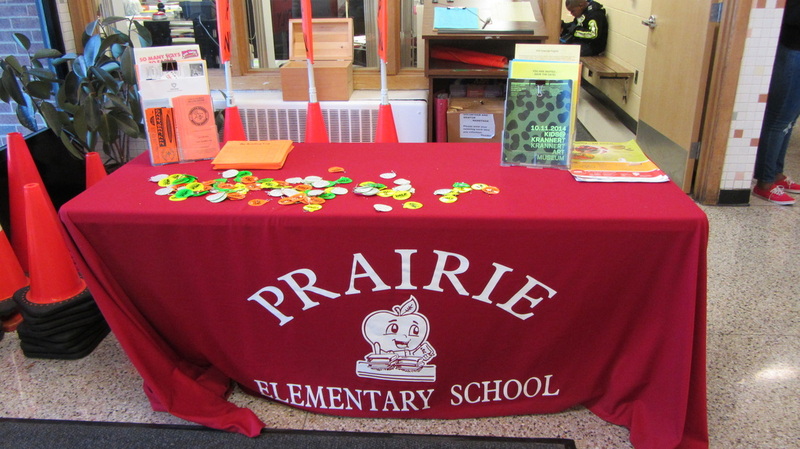 This international event was celebrated throughout the world, encouraging students to make healthier choices for them and the environment. 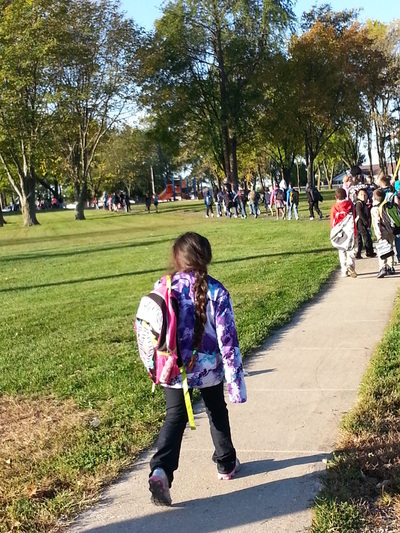 Walking and biking are great forms of exercise, and fairly easy to integrate into a child's daily routine. 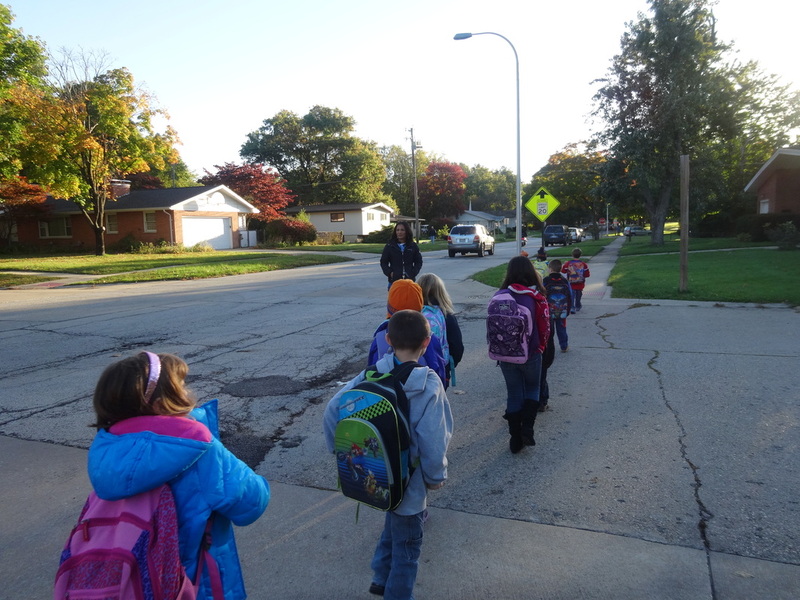 Walking and biking offers children an opportunity to get to know their neighborhood, learn and practice safe pedestrian habits, and prepares them for the school day. On October 8th, the 8 participating schools offered prizes and encouragement to their students. There were bus and car drop offs for students to partially walk to school so every child could participate in the event. 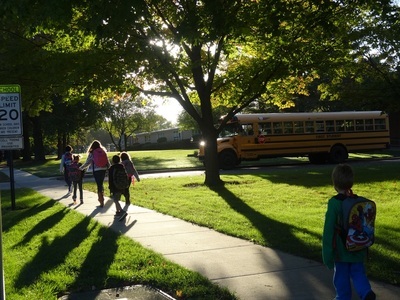 Check out the photo gallery below. 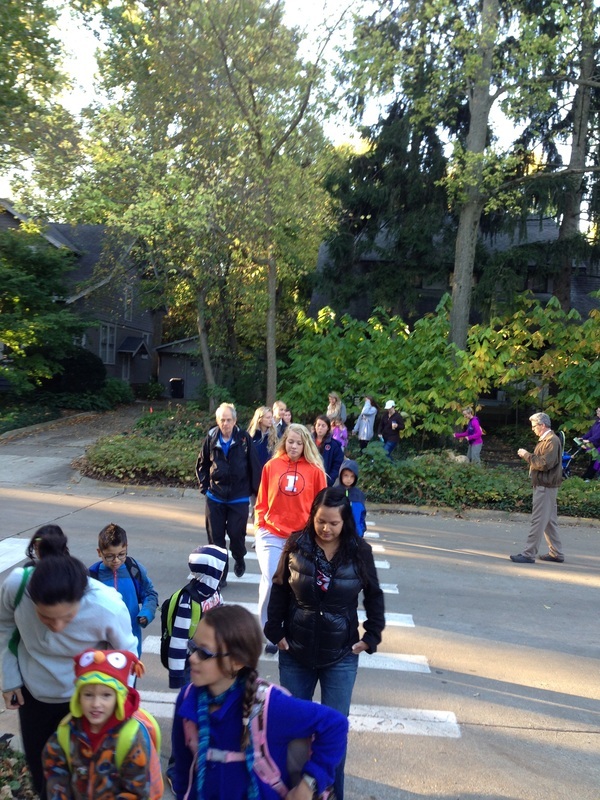 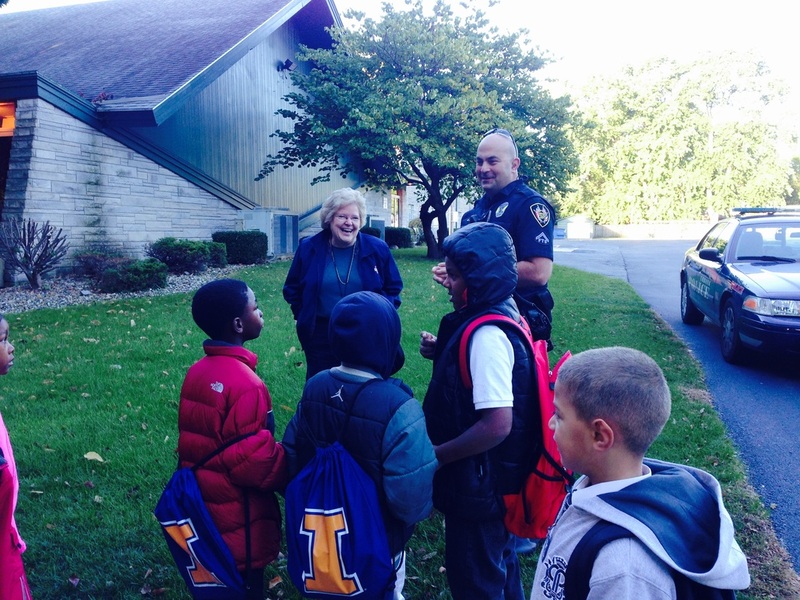 Champaign Mayor Don Gerard and University of Illinois basketball coach John Groce greet students walking and rolling to South Side Elementary on October 8th, 2014. 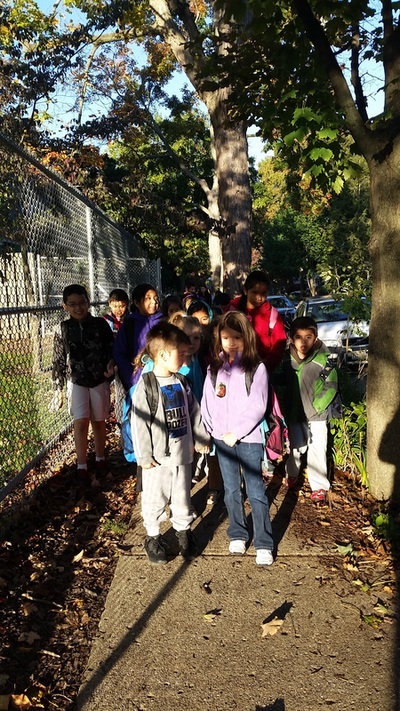 On September 5th, Barkstall Elementary School participated in WRTSD. Students were encouraged to make healthy choices and were well supported. 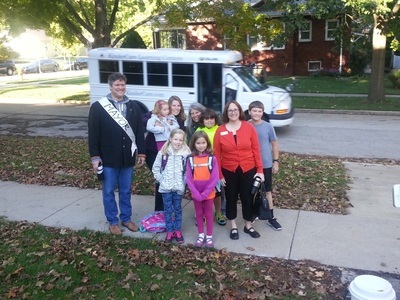 Thank you CU Scholars and Bell Helmets for providing volunteers! 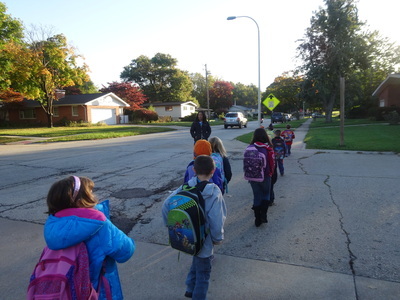 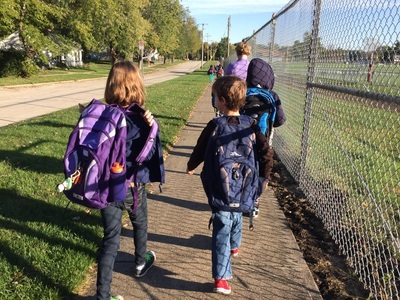 November 24, 2014 – The Illinois Department of Transportation (IDOT) has announced that C-U SRTS Project will receive Safe Routes to School grant funding. The project will enable and encourage elementary and middle school students to walk and bike to school, in some cases even if they live far from school. C-U SRTS Project and Urbana School District will receive $15,840 that was matched by a $2,000 contribution toward the program from both MTD and Unit 116. The project will continue and expand programming that ensures that students can use active transportation modes such as walking and biking to get safely to school. 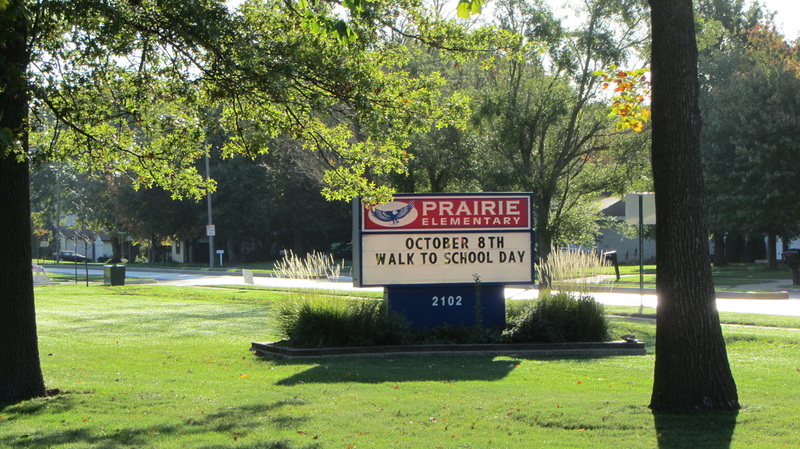 Such programming includes the successful Walking School Bus (WSB) at Leal and Prairie Elementary.